Hetzel, 1886. - Hetzel, Paris 1886, Grd. in - 8 (17,5x27,8cm), 220 ; 198pp., relié. - Prima edizione collettiva. Un catalogo di volume doppio DF, con novità per l'anno 1885/1886. Uno dei pochi volumi con la data sul frontespizio. Illustrato con 45 disegni di Benett. editor di cartone con due elefanti del 3 ° tipo. calico rosso. A. Lenègre rilegatore di libri. piatto Souze. Bello primo piatto, pulito. Dos e secondo appartamento nello stato bello. Monete e tappi leggermente strofinato. Sartie un po 'morbido. Alcuni pallido macchie sparse su una carta fresca. Bella copia. - [FRENCH VERSION FOLLOWS] Première édition collective. Un volume double, catalogue DF, avec les nouveautés pour l'année 1885/1886. Un des rares volumes portant la date en page de titre. Illustré de 45 dessins par Benett. Cartonnage d'éditeur aux deux éléphants du 3e type. Percaline rouge. A. Lenègre relieur. Plaque de Souze. Belle première plaque, bien nette (petites taches en bas dans les filets dorés d'encadrement). Dos et second plat en bel état. Coins et coiffes légèrement frottées. Coiffes un peu molles. Quelques pâles rousseurs éparses sur un papier bien frais. Bel exemplaire. Roman d'anticipation dans lequel trois membres d'un club aéronautique sont enlevés pour un voyage à bord d'une machine volante digne du Nautilus. Il Capitale. Critica dell'economia politica. Torino, Unione Tipografico-Editrice, 1886. Royal8vo. 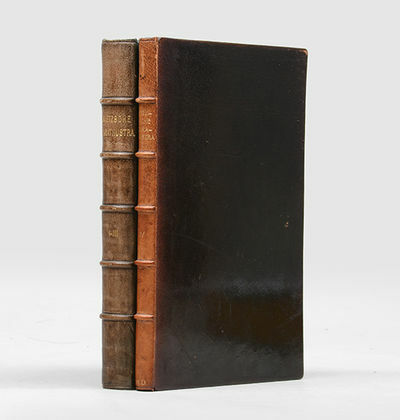 Bound in a contemporary half calf binding with gilt lettering and ornamentation to spine, forming five compartments. In "Biblioteca dell'Economista", Third Series, volume 9. Small. Light wear to extremities and small stamp to title-page. Light brownspotting to a few of the first and least leaves. A fine copy. Il Capitale: 685 pp. [Entire volume: (4), 903, (1) pp.]. First Italian translation of Marx' landmark work, constituting what is arguably the greatest revolutionary work of the nineteenth century. The work proved immensely influential in both communist and fascist circles. Antonio Gramsci, founding member and one-time leader of the Communist Party of Italy (PCI), based much of his theoretical and practical work on the present translation of Marx' work and Ezra Pound read this Italian translation (which is among the most heavily marked annotated volumes in his personal library) and was horrified by the accounts of the exploitation of labor given by Marx which eventually grew into his sympathy for fascism and Mussolini's socialist roots. (Rainey, Textual Studies in the Cantos). The translation was done in nine installments beginning in 1882 but was not published until 1886. The translation, however, remained relatively unknown: "It was difficult in Italy during that period [late 19th century] to obtain Marx's works. With the exception of Cafiero's hard to find summary and some other summarizing pamphlets published by another Southern scholar, Pasquale Martiguetti of Benevent, those Italians who sought to consult Marx were forced (unless they could read the original German) to have recourse to the French translation of the first volume of 'Capital', published in 1875. True, in 1886 Boccardo had published in Biblioteca dell'Economista, an Italian translation of 'Capital', but this was inaccessible to those of modest means." (Piccone, Italian Marxism). The first edition of the work originally appeared in German in 1867, and only the first part of the work appeared in Marx' lifetime. Bert Andréas 154 Einaudi (not numbered, between no. 3769 and 3770) Mattioli 2287 (a reprint from 1916). Paul Ollendorff, 1886. - Paul Ollendorff, Paris 1886, 11,5x19cm, relié. - Prima edizione, una delle pochissime copie in Cina, il nostro appositamente stampato per Paul Ollendorff. Bound in pieno Marocco marina, dorso con cinque nervi set con ornati d'oro d'oro matrimoniali riquadri tratteggiati riccamente decorate con motivi dorati tipografici, quando la coda dorato, oro sui tappi telaio, dieci volte filetti, strisce e punteggiate piatti dorati rotelle carta marmorizzata arricchito i loro centri con un oro a pressare cartuccia con un fregio di interlacciato cornice dorata con pizzo dorato su contreplats guardie e contreplats ciotola di carta, doppio dorata sulle tazze, coperture conservati, tutti i bordi dorati, bella contemporaneo vincolanti firmati Lancelin. Copia eccezionale ben stabilita. Provenienza: dalla biblioteca di Paul Ollendorff. - [FRENCH VERSION FOLLOWS] Edition originale, un des très rares exemplaires sur Chine, le nôtre imprimé spécialement pour Paul Ollendorff. Reliure en plein maroquin marine, dos à cinq nerfs sertis de pointillés dorés orné de doubles caissons dorés richement agrémentés de motifs typographiques dorés, date dorée en queue, roulettes dorées sur les coiffes, encadrement de décuples filets, frises et pointillés dorés sur les plats de papier marbré enrichis en leurs centres d'un cartouche doré sertis d'une frise d'entrelacs dorés, encadrement d'une dentelle dorée sur les contreplats, gardes et contreplats de papier à la cuve, doubles filets dorés sur les coupes, couvertures conservées, toutes tranches dorées, superbe reliure de l'époque signée de Lancelin. Exceptionnel exemplaire parfaitement établi. Provenance : bibliothèque de Paul Ollendorff. Gauthier - Villars, 1886. - Gauthier - Villars, Paris 1886 - 1888, 16,5x24cm, 2 volumes reliés. - Rara prima edizione. Leganti per aprire la carta bradel fatto, come espone marocchino nero, attacchi moderni firmati Goy & Vilaine. La nostra copia contiene molte fotografie del quattro su forte frontespizio carta e due in una piega. Libro illustrato con molte figure in nero il testo e spettro dei colori. Alcuni foxing colpisce principalmente i fogli superiore e inferiore di ogni volume. Copia piacevolmente stabilito. - [FRENCH VERSION FOLLOWS] Edition originale rare. Reliures à la bradel en plein papier à la cuve, pièces de titre de maroquin noir, reliures modernes signée Goy & Vilaine. Notre exemplaire comporte bien les quatre photographies tirées sur papier fort dont deux en frontispice et une dépliante. Ouvrage illustré de nombreuses figures in - texte en noir et un spectre des couleurs. Quelques rousseurs affectant surtout les premiers et derniers feuillets de chaque volume. Exemplaire très agréablement établi. The Stones of Venice, with illustrations drawn by the Author. 3 volumes complete. 1886. first edition. With Thirty Fine Watercolors by French Caricaturist ArsÃ¨ne Henri Saint-AlaryHandsomely bound by Henri Joseph PiersonCLARETIE, Jules. SAINT-ALARY, ArsÃ¨ne Henri, artist. 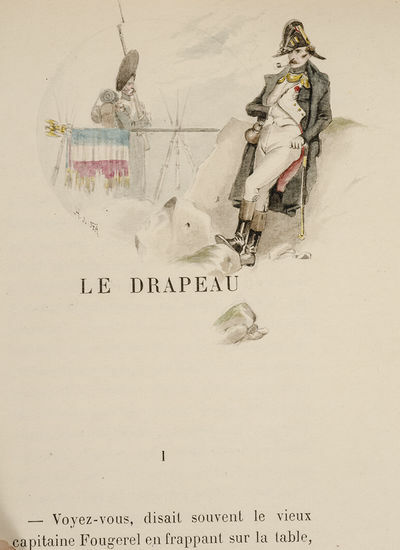 Le Drapeau. [The Flag] Ouvrage couronnÃ© par L'AcedÃ©mie Francaise. Paris: Calman LÃ©vy, Ã‰diteur, 1886.One of twenty-five copies printed on Papier du Japon (this copy No. 18). This copy beautifully illustrated in the margins of the text by thirty very fine original drawings by French caricaturist ArsÃ¨ne Henri Saint-Alary, thirteen in full color, seventeen in blue or brown sepia, all signed "H. de Sta. "Small quarto (7 5/8 x 5 1/2 inches; 193 x 140 mm.). iv, 126, [1, imprint), [1, blank] pp. Bound ca. 1890 by Henri Joseph Pierson (stamp signed on verso of front free end-paper) in three quarter red morocco over marbled boards ruled in gilt. 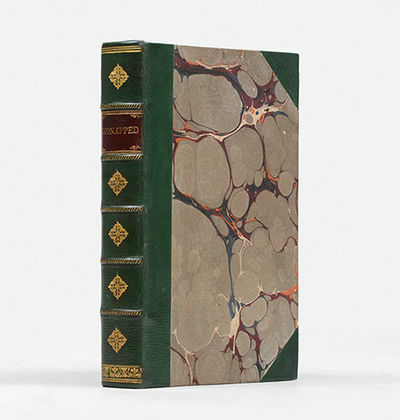 Smooth spine decoratively tooled and lettered in gilt, marbled end-papers, top edge gilt, others uncut. A very fine example.Jules ArsÃ¨ne Arnaud Claretie (1840-1913) was a French literary figure and director of the ThÃ©Ã¢tre FranÃ§ais. He was born at Limoges. After studying at the lycÃ©e Bonaparte in Paris, he became a journalist, achieving great success as dramatic critic to Le Figaro and to the Opinion Nationale. He was a newspaper correspondent during the Franco-Prussian War, and during the Paris Commune acted as staff-officer in the National Guard. In 1885 he became director of the ThÃ©Ã¢tre FranÃ§ais, and from that time devoted his time chiefly to its administration until his death. During the battle for Octave Mirbeau's comedy Les affaires sont les affaires (Business is business), the ComitÃ© de Lecture was abolished, in October 1901, and Jules Claretie became the only person responsible for choosing the modern plays to be performed. He was elected a member of the AcadÃ©mie franÃ§aise in 1888, and took his seat in February 1889, being received by Ernest Renan.ArsÃ¨ne Henri Saint-Alary (1846-1920). French illustrator Henri de Sta was born in Versailles as ArsÃ¨ne Henri Saint-Alary. He began his career around 1882 with La Vie Artistique and the publishing house of LÃ©on Vanier. Coming from a military family, garrison life became a regular theme in his career. De Sta worked as a humorous illustrator for Le Chat Noir after 1892. He was also present in Le Paris Bouffon (1885), Le Rire (1897) and Le Charivari (1900). He composed military alphabets, illustrated songs and produced comics for La Chronique Amusante from 1896, and for Les Contes Moraux et Merveilleux of the printing firm Pellerin d'Epinal.Besides being present in satirical magazines, he was also drawing extensively for children's books. His work can be seen in La Semaine de Suzette between 1905 and 1905, drawing picture stories that often starred an elephant named Toby. He also drew for Le Petit Journal IllustrÃ© de la Jeunesse. He was a member of the Society of Cartoonists under the chairmanship of LÃ©andre and Steinlen.Henri Joseph Pierson was a late nineteenth century Parisian bookbinder whose fine work rivaled that of Michel, CanapÃ© and Trautz. Numismatische Zeitschrift herausgegeben von der Numismatischen Gesellschaft in Wien. Anni: XVIII, XXIV, LXXV-LXXIX, LXXXI, LXXXIII, LXXXIV, LXXXVI, LXXXVII, XC-CI + volume del Centenario 1870-1970. DICCIONARIO RECOPILADOR DE LOS PUNTOS DE DERECHO resueltos en sentencias de justicia desde 1838 hasta diciembre de 1887. 7 volúmenes (obra completa). - Tomos I a IV más 3 vols. de adiciones. El tomo I es de la 2ª edición corregida. Madrid, Tipografía de Huérfanos, 1886-1890, 16x22, 7 vols. : XXIV-452+706+615+574+472+242+197 págs. Encuadernados en plena pasta española con doble tejuelo. (51402). A travers les Salles d'Armes. London: Longmans, Green, & Co, 1886. FIRST LONDON EDITION. 1 vol.. 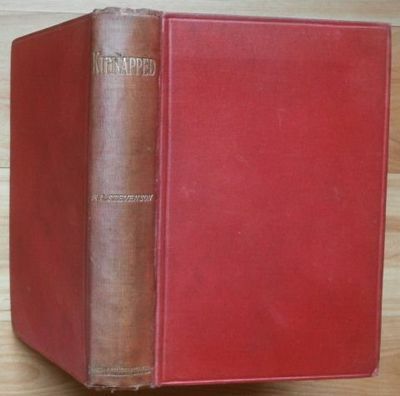 Bound in the publisher's original red and blue printed wrappers, spine expertly relined, date on front wrapper hand corrected to 1886, internally clean and bright, a VERY GOOD copy, housed in a blue cloth clamshell case, vertical gilt lettered spine. Leipzig: Verlag von E. W. Fritzsch; Verlag von C. G. Naumann,,  & 1891. Ein Buch fur Alle und Keinen. 4 parts in 2 volumes, octavo. Vol I: bound in near-contemporary green crushed morocco, title gilt to spine, marbled endpapers, top edge gilt. Vol II: bound in near contemporary brown crushed morocco, title gilt to spine, marbled endpapers, top edge gilt. With the original grey front wrapper (with editor's note and errata) bound in. Vol. II from the library of Max Dreger, with his gilt monogram to the spine. Small inkstamp to verso of rear free endpapers. Spines faded, some minor scuffs to covers. A superb set. First collected edition, with the first volume containing the 1886 reissue of the first three parts with the new undated title page, and the second volume containing the first trade edition of the fourth part. The first three parts were originally printed and published separately by Ernst Schmeitzner between 1883 and 1884, but in 1886 he went bankrupt, and Fritzsch bought the entire Nietzsche catalogue and stock. The publisher then issued the first three parts of Nietzsche's magnum opus together in late 1886. The fourth part was originally published in 1885 as a privately printed edition of 45 copies for circulation among his most trusted friends: Schaberg notes that "it is a clichÃ© of Nietzscheana that that when it came time to distribute copies of Zarathustra IV to his friends, the philosopher could find only seven qualified people" (Schaberg, p. 105). Von Wunderland zu Wunderland. Erste Folge und Neue Folge. Zwei Teile in einem Band. Landschafts- und Lebensbilder aus den Staaten und Territorien der Union. Fünfundzwanzig (25) Lichtdruckbilder nach Originalen des Herausgebers mit Erläuterungen in Poesie und Prosa von Friedrich Bodenstedt, H. W. Longfellow, Bret Harte, Joaquin Miller, Paul Lindau, Robert von Schlagintweit, Balduin Möllhausen, Theodor Kirchhoff, Karl von Zittel, Frank Siller, O. V. Deuster und Rudolf Cronau. The Guide to Astrology containing the rudimental part of genethliacal astrology. Vol. I-II. - 92, 107pp. London, Foulsham, 1886. Barnes, Robert, Dr.] Compiled by. Gynoecology (sic) - a Collection of 34 medical pamphlets on Gynecology & Obstetrics. - Blatt aus dem Album/Gästebuch (aus den Jahren 1886 - 1898) der Münchner Mittwochsgesellschaft, die der Verleger Hugo Bruckmann (1863 - 1941) im Zentral-Café Ungerer, Dachauer Str. 9 gegründet hatte. Unter den Mitgliedern waren neben Röbbecke und Bruckmann der Verleger Edgar Hanfstaengl (1842-1910), die Maler August Leonhardi (1867 - 1931), Anton Mangold (1863 - 1907) und Moritz Röbbecke (1857 - 1916), Winfried von Miller (1854 - 1925) und Otto Seitz (1846 - 1912). - Blatt aus dem Album/Gästebuch (aus den Jahren 1886 - 1898) der Münchner Mittwochsgesellschaft, die der Verleger Hugo Bruckmann (1863 - 1941) im Zentral-Café Ungerer, Dachauer Str. 9 gegründet hatte. Unter den Mitgliedern waren neben Scheuermann und Bruckmann der Verleger Edgar Hanfstaengl (1842-1910), die Maler August Leonhardi (1867 - 1931), Anton Mangold (1863 - 1907) und Moritz Röbbecke (1857 - 1916), Winfried von Miller (1854 - 1925) und Otto Seitz (1846 - 1912). London: John and Robert Maxwell, 1886. First Edition. Good binding. 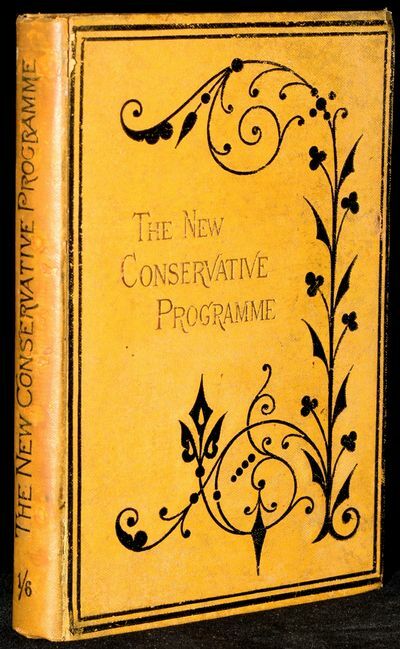 An uncommon collection of the speeches of Lord Randoph Churchill which constituted "The New Conservative Programme", sometimes known as "Tory Democracy". With a "Life of Lord Randolph Spencer-Churchill" and many of his speeches. An important source for understanding how Lord Randolph became the leader of Tory ranks, and the prime mover in orchestrating the fall of the Liberal government in 1885. Published a scant 9 years before he died of syphilis. We locate a handful of copies on OCLC. This copy has some minor silverfishing and loss to the spine. Good binding. Persia as it is. Being Sketches of modern Persian Life and Character. Riva del Garda &#150; Veduta d&#146;insieme. - Acquarello in colore d&#146;epoca su carta forte, cm 36 x 52,5 (il foglio), firmato e datato 1886 in basso a destra. Restaurato al margine superiore fino a due terzi della verticale del foglio, ma con restauro molto ben eseguito e affatto visibile. Bellissima veduta d&#146;insieme con il lago, il paese e figure in primo piano. Di ottima mano e in bella coloritura. G. Barbera 1886 16mo (cm. 19), 2 cc.nn., 380 pp., 2 c.nn. (ultima bianca). Splendida legatura inizi â? ?900 in mz. marocchino arancio con angoli (firmata Dubois dâ? ?Enghien - Dooms). Nervi, titolo e fili impressi in oro al ds. Carte di guardia marmorizzate. Brossure e ds. editoriale conservati allâ??interno. Edizione originale. Parenti, p. 182. THOMAS (T. Gaillard, MD) Vulvar and Vaginal Enterocele. 8vo, 23 pp, 4 ills in text. Read before the New York Academy of Medicine, December 17, 1885 and reprinted from the New York Medical Journal for December 26, 1885. BAKER (W.H., MD) Unusual Cases of Vesico- Vaginal and Vesico-Uterine Fistula. 8vo, 15 pp, 4 ills in text. Read before the Obstetrical Society of Boston, December 13, 1884 and reprinted from Boston Medical and Surgical Journal of February 26, 1885. BYFORD (Henry T., MD) The Production and Prevention of Perineal Lacerations during Labor, With Description of an Unrecognized Form. Chicago, 1886. 8vo, 16 pp, (one leaf torn with no loss of text). Read before the Chicago Medical Society, February 15, 1886 and reprinted from the Journal of the American Medical Association, march 6, 1886. LAZAREWITCH (J.) Deviations Laterales Congenitales de La Matrice dans leurs relations avec Les Tumeurs Peri-Uterines et Le Mecanisme de L'Accouchement. G. Steinheil, Paris, 1885, 27pp, 10 figs in text. Presentation copy "To Doctor Robert Barnes with the high regard and kind remembrance of the Author." HARRIS (Robert P., AM, MD) A Study and Analysis of one hundred Caesarian Operations performed in the United States, during the Present Century, and prior to the year 1878. A 23pp extract from an American medical journal for January, 1879. HARRIS (Robert P. AM, MD) Does the Removal of a Fetus by Abdominal Section, after a Rupture of the Uterus, constitute a "Cesarean Operation;" and Is it Proper to Classify this Form of Delivery with Gastro-Hysterotomy, which has a Different Degree of Fatality, both as Regards the Mother and Fetus? New York, Wm. Wood & col, 1881. 12 pp. Reprinted from the American Journal of Obstetrics and Diseases of Women and Children, Vol. XIV, No. IV, October, 1881. GARRIGUES (Henry J., AM, MD) On Gastro-Elytrotomy. New York, D. Appleton. 1878. 78 pp, 3 figs in text. Reprinted from the New York Medical Journal, October and November 1878. REIN (G.) Sur la Methode Operatoire de l'Extirpation de l'Uterus Gravide. Paris, H. Lauwereyns, 1881, 8 pp. Extrait des Annales de Gynecologie, Fevrier, 1881. SAVAGE (Thomas, MD, MRCP) Porro's Operation. Hall and English, Birmingham. 8 pp. Read before the Midland Medical Society, 10th of October 1883 an Reprinted from the Birmingham Medical Review, Nov., 1883. THOMAS (Dr, T. Gaillard) Laparo-Elytrotomy as a Substitute for Caesarean Section. A report of a paper given on March 25, 1878 as reported in The Medical Record. 3 pp. HALBERTSMA (T.) Bekkenvernauwing. Rupture Uteri Zonder Scheuring Van Het Peritoneum. Sectic Caesarea Met Amputatie Van Den Uterus En Exstirpatie Der Ovaria. Gunstige Afloop Voor Moeder En Kind. 4 pp. Overgedrukt uit het Nederlandsch Tijdschrift voor Geneeskunde. Jaargang 1880. HALBERTSMA (T.) Die Diagnose des Sitzes des Placenta durch Probepunktionen. 2 pp. Sepatat-Abdruck aus dem Centralblatt fur Gynakologie 1881. No. 5. IRWIN (J.A.) The Influence of Sea-Voyaging upon the Genito-Uterine Fuctions. New York, Trow's Printing and Bookbinding, 1885. 30 pp. Read before the New York County Medical Society, April 27, 1885. SUTTON (J. Gland, FRCS) Menstruation in Monkeys. 8 pp. Extract from the Journal of The British Gynoecological Society. pages 292-301, not dated (c. 1884). 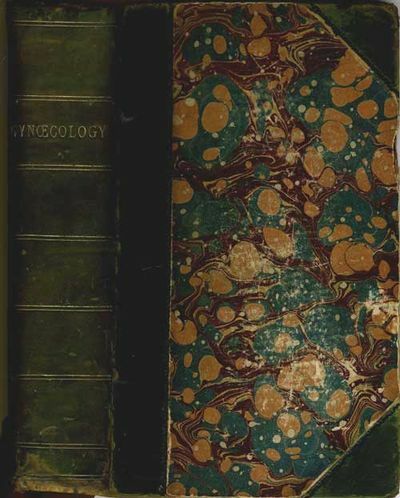 BOZEMAN, (N., MD) Remarks on Vesico-Vaginal Fistule, with an account of a New Mode of Suture, and Seven Successful Operations. Barrett & Wimbish, Montgomery, AL, 1856. 29 pp, 11 figs in text. Bozeman [1825- 1905] , invented the 'Button Suture", re-issued in shortened form in Medical Magazine, July 1857. BEATTY (Thomas E., MD, MRIA, FRCS) Plastic Operations on the Female Genito-Urinary Organs. M.H. Gill, Dublin, 1861, 14 pp. From the Dublin Quarterly Journal of Medical Science, April , 1861. BAKER (William H., MD) The Use and Abuse of Battey's and Tait's Operations. 15 pp, reprinted from Boston Medical and Surgical Journal of February 12, 1885. BASCH (Prof S.V.) and HOFMAN (Prof. Ed.) Untersuchungen uber die Innervation des Uterus und seiner Gefasse. 23 pp, Separat-Abdruck aus den Med. Jahrbuchern 1877, IV. Heft. HOFMEIER (M.) Uber die Endgultige Hielung des Carcin. Cervic. Uteri durch die Operation. Nach einem Vortrag aurf der Naturforscherversammlung in Berlin, 23 September 1886. Gebruder Kroner, Stuttgart, 1886. 28 pp, 3 pp litho plates. Presentation inscription from wrap, pasted to title page. SIMPSON (Alexander Russell, MD) Sarcoma Uteri. Edinburgh, Oliver and Boyd, 1876. 17 pp. Reprinted from the Edinburgh Medical Journal for January 1876. SOUTHEY (Reginald, MD, FRCP) The Lumleian Lectures on Bright's Disease. Delivered before the Royal College of Physicians. British Medical Association, London, 1881. Reprinted for the Author from the British Medical Journal. 51 pp. MONOD (Dr. Charles) Contributions to the Study of Non-Cancerous Tumours of the Breast. Translated from the Archives gen. de Medecine, January 1875, by Charles J. Cullingworth, to which is appended an account of an Ovarian Cyst in an Infant Newly Born. By Charles J. Cullingworth. Savill. Edwards and Col, London 1875. 18 pp, reprinted from the "Obstetrical Journal" for Private Circulation. WILLIAMS (John, MD, MRCP) On the Structure of the Mucous Membrane of the Uterus and its Periodical Changes. London, J & A Churchill, 1875. 28 pp, 3 pp, litho plates. REIN (Dr. G) Beitrage zur Lehre von der Innervation des Uterus. 17 pp, extract from German medical journal c. 1880. HICKS (J. Braxton, MD) Note on the Supplementary forces concerned in the Abdominal Circulation in Man. Harrison and Son, London, 1879, 6 pp, offprint from Proceedings of the Royal Society, No. 195, 1879. SCHROEDER (Prof. Dr.) The Condition of the Hymen and its Remains by Cohabitation, Childbearing and Lying-In. Oliver and Boyd, Edinburgh, 1878, 7 pp, 10 pp, litho plates. Translated and Read before the Edinburgh Obstetrical Society, 13th February 1878, by Dr. Kirk Duncanson. Presentation from the translator: "With Dr. Kirk Ducanson's Compts." WHITEHEAD (Walter, FRCS) Notes on Mucus Disease. Supplementary to a Paper read at the Meeting of the British Medical Association at Newcastle. np, not dated, 26 pp. WILLIAMS (John, MD) The Mucous Membrane of the body of the Uterus. Savill, Edwards and Col, London 1875. 10 pp, reprinted from 'The Obstetrical Journal' for November, 1875. BEIGEL (Dr. Hermann) Zur Pathologie der Dysmenorrhoea membranacea (Deidua menstrualis) A. The.Engelhardt, Leipzig, 1876. 32 pp, 1 folding litho plate (split at fold). Separatabdruck a. d. Archiv f. Gynakologie. Bank IX. Heft 1. 8vo, bound in green 3/4 leather with marbled boards, gilt title on spine and compartments, articles individually paginated. 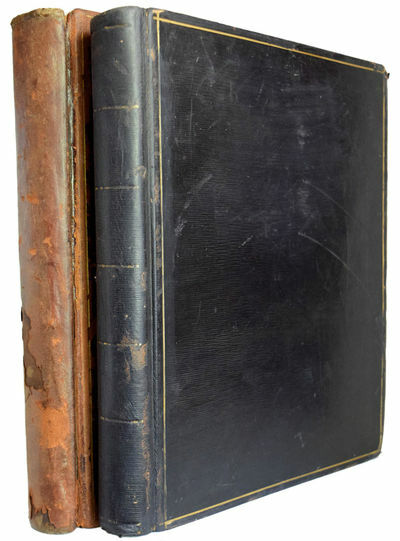 Spine rubbed at head/foot, covers rubbed at edges and corners, interior very clean, a well utilized copy with a manuscript table of contents at front. RATO Y ROCES, Calixto de. CONCEPTO PATOGÉNICO DE LA PELAGRA Y SU TRATAMIENTO HIDRO-MINERAL. (Manuscrito original). [Manchester]. 1886-1891.. 4to. 28cm, 269p., primarily hand-writtenleaves with some interleaved blanks, drawings & maps by author, someinserted newspaper clippings tipped in, 3 fly plates laid in, bound infull brown rowan, spine quite worn, wear on the board edges, marbledendpapers, internally in fine condition. "Fishing in Derbyshire"contains a map and illustration by the author along with a contemporarynewspaper review of the talk with letters to the editor. "Water Flies'was written for the Manchester Angler's Notebook and contains 3 printedcolour plates of flies. "500 Miles in Norway" is a recounting (56pages)of a fishing trip through Norway carried out by Hutton in 1888. J.A.Hutton was a very prominent Manchester fisherman. The Manchester Anglers'(Association) has been in existence since 1878 and one of oldest gamefishing clubs in England. The Eaton extract (72 pages) is in Hutton'shandwriting with 16 tipped in illustrations.A unique manuscript in veryneat hand. .
: Privately Reprinted, 1886. - Portugal's Greatest PoetA Wonderful Inlaid Binding by Charles Meunier[MEUNIER, Charles, binder]. CAMOENS. Luis de. Love Poems from the Portuguese of Luis de Camoens. By Lord Viscount Strangford. [London]: Privately Reprinted, 1886. Limited to 50 copies on Japan Paper (this being number 49), signed by the by the editor, B.B. Haggin. Additionally inscribed on a front blank leaf "Compliments of the Editor/B.B. Haggin/March 27th, 1892. "Small quarto (8 9/16 x 6 9/16 inches; 217 x 167 mm.). [iv], , [3, blank] pp. Original stiff paper wrappers decorated in gold bound in. Illustrated with very attractive, engraved head and tail-pieces.Bound ca. 1886 by Charles Meunier (stamp-signed in gilt on lower turn-in). Full rose colored crushed morocco, each cover richly and decoratively bordered in gilt surrounding a rectangular foliate frame with sixteen flowers inlaid in black morocco and fourteen leaves inlaid in green morocco. Spine with five raised bands and five inlaid black morocco flowers, decoratively tooled and lettered in gilt in compartments in a matching design, decorative gilt board-edges, wide gilt decorated turn-ins, blue silk liners and end-leaves, marbled end-papers, all edges gilt. A spectacular binding on a beautifully printed book.Charles Meuniere (1865-1940) began his apprenticeship as a bookbinder at age eleven. Five years later, at age sixteen, he joined master binder Marius-Michel's workshop. 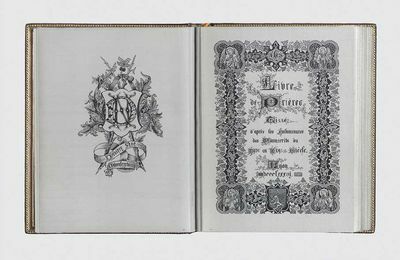 He soon grew weary of producing traditional bindings and established his own bindery in 1885, at the tender age of twenty years old. CM was thought to be innovative and instinctive, with great reserves of energy and undeniable artistic talent. Drawing on traditional and modern techniques and forms of decoration, Meuniere mixed classical punches.with newly fashionable incised and modeled leather panels. His output was prodigious; by 1897 he had produced roughly six hundred bindings" (Art Nouveau and Art Deco Bookbinding, p. 194).Luís Vaz de Camoens (c. 1524-1580), is considered Portugal's and the Portuguese language's greatest poet. His mastery of verse has been compared to that of Shakespeare, Vondel, Homer, Virgil and Dante. He wrote a considerable amount of lyrical poetry and drama but is best remembered for his epic work Os Lusíadas (The Lusiads). His collection of poetry The Parnasum of Luís de Camões was lost in his lifetime. The influence of his masterpiece Os Lusíadas is so profound that Portuguese is sometimes called the "language of Camoens". tissÃ© d'aprÃ¨s les Enluminures des Manuscrits du XIVe au XVIe SiÃ¨cle. Four full-page illus. & each page within a decorative border, all taken from early illuminated MSS. 50 pages. Small 4to, orig. Jansenist-style binding of morocco by J. Kauffmann-Petit & Maillard, doublures of blue morocco richly gilt & inlaid to a retrospective Renaissance motif consisting of green, brown, & blue morocco interlocking strap-work, five raised bands on spine, top & bottom edges gilt. Lyon: [A. Henry for A. Roux], 1886-88. This is one of the true marvels of nineteenth-century technology in the service of the "Book Arts," and absolutely must be seen to be fully appreciated. It is a spectacular neo-Gothic Book of Prayers, made of silvery-grey and black silk thread, woven together by means of the Jacquard automated loom method, the results being accurate to within one-tenth of a millimeter. There is a strange and wondrous dimensionality in these pages, which without exaggeration can be said to shimmer. The book also represents an important technical innovation: hundreds of thousands of punched cards were employed as automated weaving instructions, conveyed to an array of mechanized looms. It took two years of programming and weaving to create approximately 60 copies. At the time of its invention, in 1801, the Jacquard loom was the most complex programmable machine in existence. The incredible potential of the "Operations / Variables" punched card system, with its binary data and modern "Input / Output / Storage" capabilities, was seized upon by English visionary Charles Babbage, who integrated the process into his theoretical "Analytical Engine." James Essinger has argued convincingly that the Jacquard loom was pivotal in the in the development of computer science (see Jacquard's Web: How a Hand-loom led to the Birth of the Information Age, 2004). With uncanny prescience, the data input mechanisms and intricate algorithms that created the present volume prefigure modern computer automation and computer programming: input consisting of complex instructions conveyed to the mechanical looms by means of punched cards; output in the form preconceived patterns; and memory in which the instructions can be stored and subsequently recovered. Lillian Randall determined that the "illuminations" in the present Prayer Book actually came from a single source, namely a late 19th-century monograph published by Gruel and Engelmann: Imitation de JÃ©sus-Christ, which contained reproductions of a variety of illuminated manuscripts from the 14th through the 16th-century. Our copy is in a perfect state of preservation and in an unusually elaborate version of the standard binding. Preserved in the original velvet-lined box. &#10087; For a detailed account of the technical intricacies see: Paul Marais, "Livre de PriÃ¨res tissÃ©" in the Bulletin du Bibliophile (1889), pp. 163-66. Bowden, Faster than Thought: The Invention of Perforated Cards by M. Jacquard (London: 1953), pp. 23, 350-51, & 379-80. Michael Laird in The World from Here. Treasures of the Great Libraries of Los Angeles (edited by C. Burlingham & B. Whiteman, 2001), 63-"Despite the fact that this rare volume is not a printed book, it is of singular interest in that it was completely woven with silver and black silk thread. It also represents an extremely early book production involving automation and programming...The book was manufactured on silk looms that were programmed using the punched-card system developed by Joseph-Marie Jacquard (1752-1834). Several hundred thousand cards were required to program this curious magnum opus (the actual figure is not known, but estimates range from 106,000 to 500,000). After fifty failed attempts, it took two years to weave approximately sixty copies...It will be observed that the weave in the present volume is almost microscopic (it is exactly four hundred weft threads for every 2.5 centimeters [approximately one inch])...The movement of the machine was limited to one tenth of a millimeter, the result being an extremely precise piece of bookmaking, which, on account of the material used, truly gleams. It is noteworthy that Jacquard's looms, only slightly modified, are still in use today, producing some of the world's finest fabric for furniture. The punched instructional cards utilized by Jacquard's weaving machinery served as the primary inspiration for the famous 'Analytical Engine' conceived by Charles Babbage (1791-1871)...The present volume may represent the first, and probably the only, successful attempt at weaving a book." . S.l.n.d. (Madrid: Real Academia, 1881-1886). - in-4 oblong. 80 gravures en noir. Parchemin doré, dos à nerfs, frise dorée en encadrement des plats, tranches marbrées (reliure moderne). Rare édition des Caprichos de Goya, la cinquième, limitée à 210 exemplaires. Comme l'indique Harris pour cette édition, la planche 66 présente une éraflure qui n'apparaît pas dans les précédentes. Par contre, les défauts signalés à partir de la sixième édition (planche 19) n'apparaissent pas dans le présent exemplaire. Rousseurs prononcées tout au long du volume, marges réduites, mais assez bon exemplaire toutefois dans une reliure postérieure en vélin orné. Harris, II, p.67. London: Cassell and Company, Limited, , 1886. Being Memoirs of the Adventures of David Balfourin the Year 1751. Octavo (183 x 125 mm). Skilfully rebound to period style in green half calf, red morocco label, spine gilt in compartments, marbled paper boards, brown endpapers, top edge gilt. Tinted folding map as frontispiece. Short closed tear to folding map. A bright and fresh copy in excellent copy. First edition, first issue. Spine panel of original cloth bound in at rear. Vorläufige Anzeige! Circus Ed. Wulff am Isarthor - Platz. Erste Vorstellung am 11. September. 1886. being Memoirs of the Adventures of David Balfour in the Year 1751. [London:] Cassell & Company, 1886. 1 page undated ads plus 16 pp ads dated Apr 1886. Original red cloth. First Edition, first issue. In mid-18th Century Scotland, 17-year-old David Balfour is cheated out of his inheritance by a greedy uncle, who has him kidnapped and shipped to the Carolinas; with numerous challenges Balfour manages to get back to Scotland to fight to regain his property and his name. 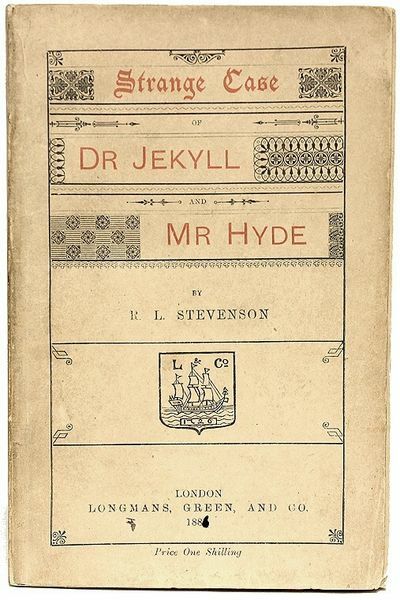 Stevenson began KIDNAPPED early in 1885 "partly as a lark, partly as a pot-boiler" (according to himself); he finished it in Spring 1886, having interrupted it part way through to write DR. JEKYLL AND MR. HYDE. He had accepted Sidney Colvin's suggestion to cut short the novel and leave the rest for a sequel (which he did, with DAVID BALFOUR / CATRIONA, in 1893).~This is a copy of the first issue (with "name his business" on p. 40, "nine o'clock" on p. 64, and "Long Islands" on p. 101). The ads also are in the first (April) state (some first-issue copies have the July ads that are present in the second issue). This copy's color is red, one of several used without priority.~This is a very good copy (spine darkened with a little wear, front endpaper slightly cracked); the front endpaper has an inked inscription dated 15 July 1886. Beinecke 378; Princeton 31 (copies 1-4). Gottsberger, 1886 The first two volumes, published in one book, of the six volume set of the first US edition of this classic. 1886 on title page. This is the first two volumes that were published, followed by four more to complete the entire work. Housed in a collector's slipcase.. 1st Edition. Hardcover. Very Good/No Jacket. Henry James writes that he "shall reserve 'wolf' for tragedy, & bring in a baron on purpose. A wolfing baron is grandâ€¦"
London, Wednesday 1886-1898. 4.5" x 7". 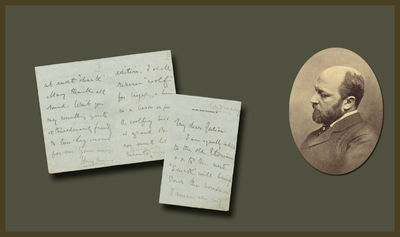 "Autograph Letter Signed ""Henry James,"" 3p, 4.5"" x 7"", front & verso of two conjoined sheets. On ""34, De Vere Gardens. W."" stationery. Wednesday, no date, but James lived at this address in flat number 13, on the fourth floor, from 1886 to 1898. Light mounting traces on blank fourth page. Fine condition.To Julian. In full, ""My dear Julian. I am equally indebted to the old Etonian & & to the new. 'Sneak' will bring down the house - I mean, alas, sell the edition. I shall reserve 'wolf' for tragedy, & bring in a baron on purpose. A wolfing baron is grand. But we must let the baronets of comedy only sneak at most 'shark.' Many thanks all round. Wonâ€™t you say something quite extraordinarily friendly to Mrs. Seymour for me? Yours ever Henry James""The Etonian was a monthly literary journal produced by Eton scholars, published between 1821 and 1824. This letter may be to author Julian Hawthorne (1846-1934), son of Nathaniel Hawthorne, who was a prolific writer of short stories. Henry James rarely agreed to be interviewed because he did not like publicity, but in 1905, he was interviewed by Julian Hawthorne in Los Angeles. ""Sneak"" may have been a short story, possibly published in an edition of The Etonian. In 1895, Henry James was raised to the peerage as Baron James of Hereford, in the County of Hereford. Julian may have congratulated James, hence, ""Many thanks all roundâ€¦ """
Message from the President of the United States, transmitting a report of the Secretary of State relative to the frontier line between Alaska and British Columbia. 49th Congress, 1st Session, Executive Document No. 143. Cassell & Company, 1886, 1886 The true first printing of the first illustrated edition. 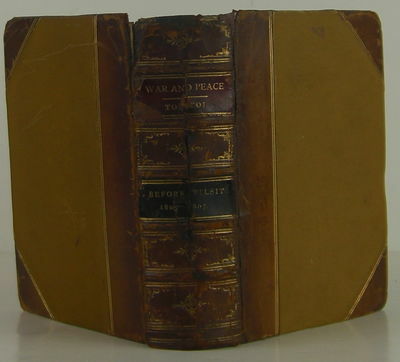 A very rare book, there is no other first printing of this edition for sale on ABE. Cassell and Company, 1886. 1886 on the title page and no mention of how many thousands printed, thus a first printing of this, the first illustrated edition. 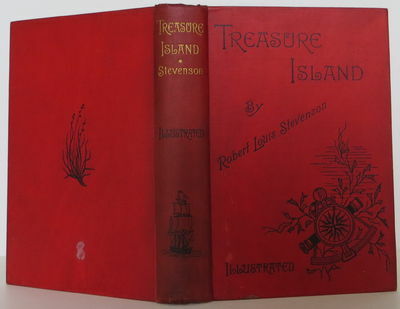 Published three years after the first edition of the unillustrated book, 1883. Very good in a custom-made slipcase.. Illustrated Edition. Hardcover. Very Good. eines französischen Webmeisters des späten 19. Jahrhunderts. Enthält zu den 25 lose eingelegten Stoffmustern genaue und ausführliche handschriftliche Mengenangaben zu deren jeweiliger Herstellung. Die Stoffmuster teils fast blattgroß (28 x 17 cm), teils kleiner (9 x 6 cm). Gut lesbare Handschrift in brauner Tinte auf kariertem Papier (29 x 19 cm). Wohl Lyon, auf dem Umschlag datiert 1886. - 72 meist beidseitig beschriebene Bl., 27 unbeschriebene Bl., in einem sehr einfachen Papierumschlag (dieser etwas angestaubt und knittrig), Folio. Offensichtlich in der Praxis einer Manufaktur entstandenes Handbuch mit genauen Mengenangaben für die "Remettage". Die herzustellenden Stoffe sind aufwendige Velours- (bzw. Plüsch-) Satinmischungen (velours, peluche) und Seidenstoffe, bzw. gerippter Taft (faille, satin cannelé), in teils leuchtenden Farben, überraschenden Farbzusammenstellungen und filigranen Dessins. Zur Bedeutung der Velours- und Seidenstoffproduktion in Lyon vergl. Caroline Lebeau, Fabrics. The decorative Art of Textiles, 2004, S. 72ff. ; zur Geschichte der gemusterten Stoffe im 19. Jahrhundert vergl. Bernard Tassinari, La Soie à Lyon, 2012, S.57 f. -Innen stellenweise etwas gebräunt, sonst wohlerhalten. The George Catlin Indian Gallery in the U.S. National Museum (Smithsonian Institution) with Memoir and Statistics. Louis Agassiz His Life and Correspondence. 8vo. 2 vols. Original blue cloth, gilt lettering to spines; pp. xi, 400, [8, pubs. list of works by Agassiz] & ix, 401-794, [6, pubs. list of works by Agassiz], 8 plates, frontispiece in each volume; near fine. Provenance: presentation copy, inscribed to front blank of each volume to Sara P. Lowell Blake from Mrs Agassiz, and with her calling card pasted at front of vol. I with the message ?My dear Sally - I have wished to bring these vols. to you myself - I leave them with a great deal of love from your old friend, and am so sorry dear not to see you & to hear that you are ill, Your loving E.C.A.? Sara Putnam Lowell Blake was the daughter of John Amory Lowell, the founder of the Lowell Institute where Louis Agassiz was a celebrated guest lecturer. It was probably at the Institute that Eliza first met Sally. Second edition. A biography of the naturalist and geologist Louis Agassiz (1807-1873) by his second wife. Elizabeth Agassiz accompanied her husband on his visit to Europe in 1859, and also on his expeditions to Brazil (1865-6) and to the Strait of Magellan (1871-2). Her biography first appeared in 1885, and presentation copies of any edition are uncommon. Agassiz's views are expressed trenchantly throughout, not least his opinion of Darwinism: "My recent studies have made more adverse than ever to the new scientific doctrines which are flourishing now in England... I trust to outlive this mania also" (p. 647).